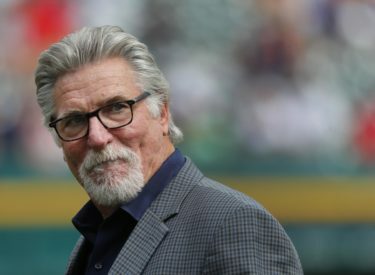 Former Liberal Bee Jay Jack Morris was inducted into the Baseball Hall of Fame. He was inducted on Sunday. Morris played for the Liberal Bee Jays in 1976. Morris pitched 16.3 innings with a 3.86 ERA and allowing six hits. As a college player from BYU, Morris was 0-1 and struck out 18 and walked 16 for a BJ team which won the Jayhawk League with an 18-6 record. That Liberal team tied for seventh at the NBC World Series. He was drafted in the fifth round of that 1976 summer. One year after pitching for the BJ’s, Morris was called up to the big club in Detroit. He joined the starting rotation by 1979. Morris won 254 games for the Tigers, Twins, Blue Jays and Indians in his 18-year career—the 43rd highest total in history. Here are some of his career highlights. Holds Tigers’ all-time record for most times leading the team in wins – 11 (1979–88, 1990).